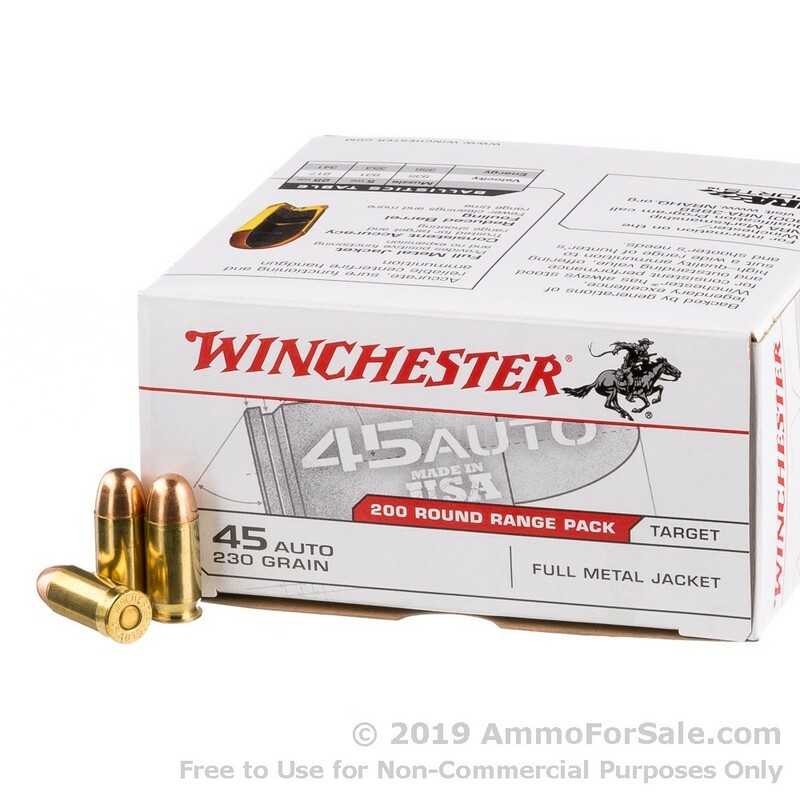 This .45 ACP ammo from Winchester is the best way to save money on those long shooting sessions with your 1911 or other .45 Auto pistol. Made in the USA with top quality components including clean-burning propellants, reliable non-corrosive primers, and reloadable brass, these rounds come in huge 600 round case that will really keep your per-round costs down! 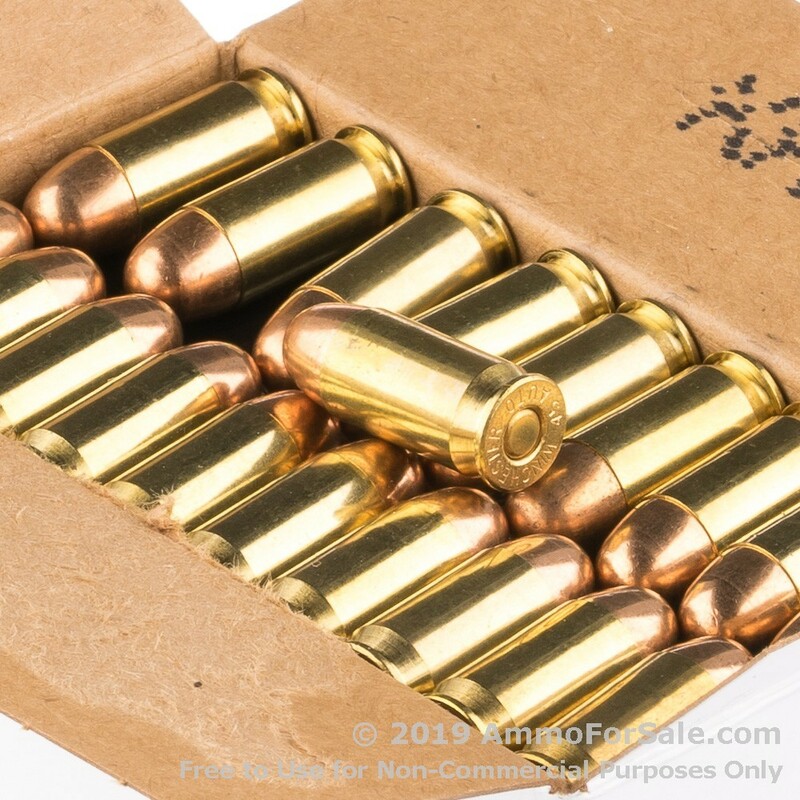 Each round in this case fires a 230gr. FMJ projectile at 830 feet per second out of the muzzle. 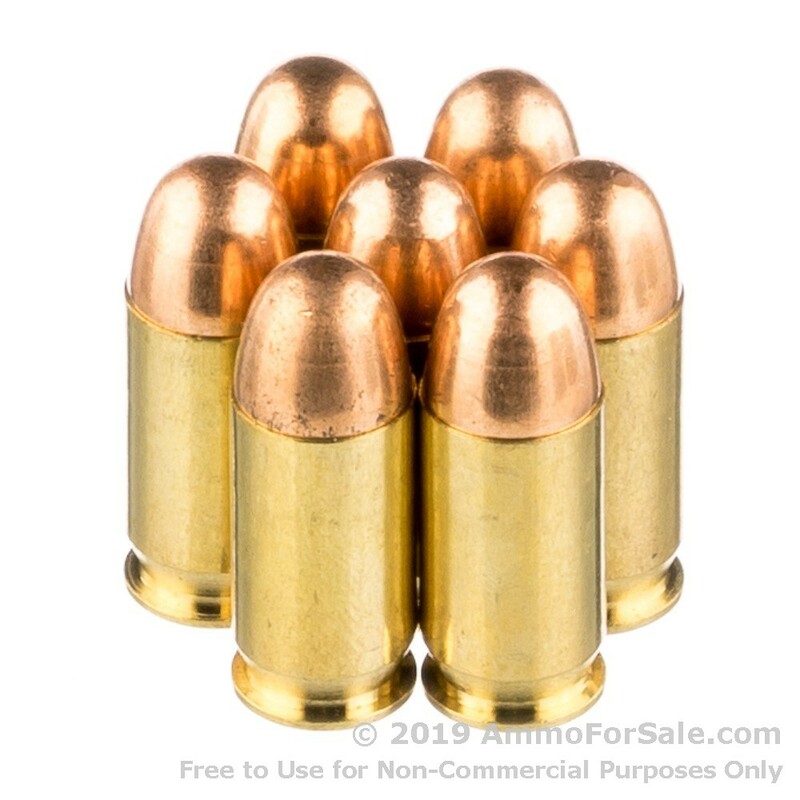 Designed by John Browning and introduced over a century ago, the .45 ACP is still going strong thanks to its dependable performance characteristics and the wide variety of pistols chambered for it. These include 1911s from Colt, Kimber, STI, Les Baer, and even Ruger as well as newer designs from Glock, Springfield, SIG, and S&W.